We had an incredible time celebrating our Savior together last week! Our celebrations kicked off the Wednesday before Easter as all four of our campuses came together for a special Night of Worship. We worshiped God, prayed over one another, and took the Lord’s supper together. The Easter festivities continued on Saturday as we spent the morning loving and serving our communities with our annual Easter Eggstravaganza events. We want to be a church for the unchurched, the unconvinced, and the unconnected. Eggstravaganza allows us the awesome opportunity to connect with our community in a unique way. This year we had 6,591 Eggstravaganza volunteers and guests with us at our four campuses. We had fun with egg hunts, pony rides, bounce houses, face painting, crafts, carnival games, and food. Follow-up teams spent that afternoon reaching out to guests who’d been asked to be contacted with more information about the church, inviting them to celebrate Easter with us! Easter Sunday was an incredible morning celebrating the hope we have in Jesus Christ! 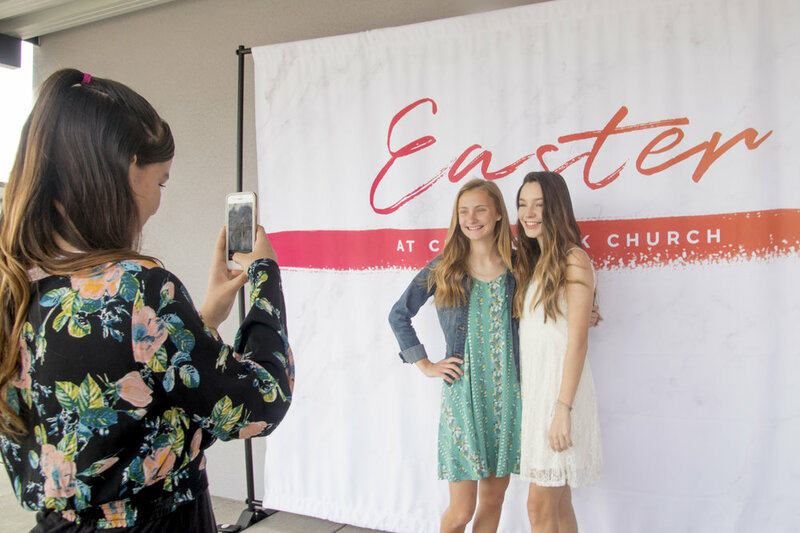 We had twelve services across our four campuses and 4,609 people attended Easter services at Chets!